Explanation: Mars, Antares, Moon, and Saturn are the brightest celestial beacons in this serene sky. The Sun's golden light is still scattered along the southwestern horizon though, captured after sunset on September 28. The evening gathering of wandering planets and Moon along with the bright star viewed as an equal to Mars and the Scorpion's Heart was enjoyed around planet Earth. 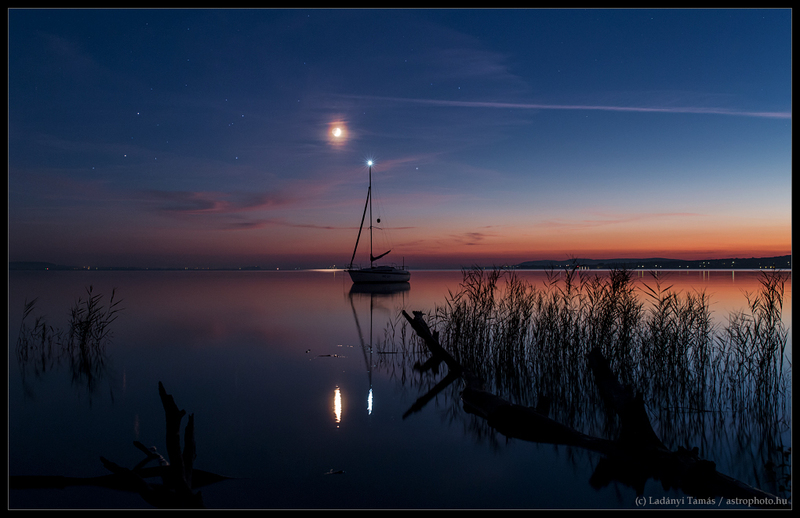 But from the photographer's perspective looking across the calm waters of Lake Balaton, Hungary, they were joined by a more terrestrial sailboat mast light. Mast light, bright star, planets and Moon are all posing near the plane of the ecliptic.